Rose Siggins, who played a legless character on "American Horror Story: Freak Show," died Saturday in Denver, a representative said. Siggins, whose character on the show was named Legless Suzi, was 43. 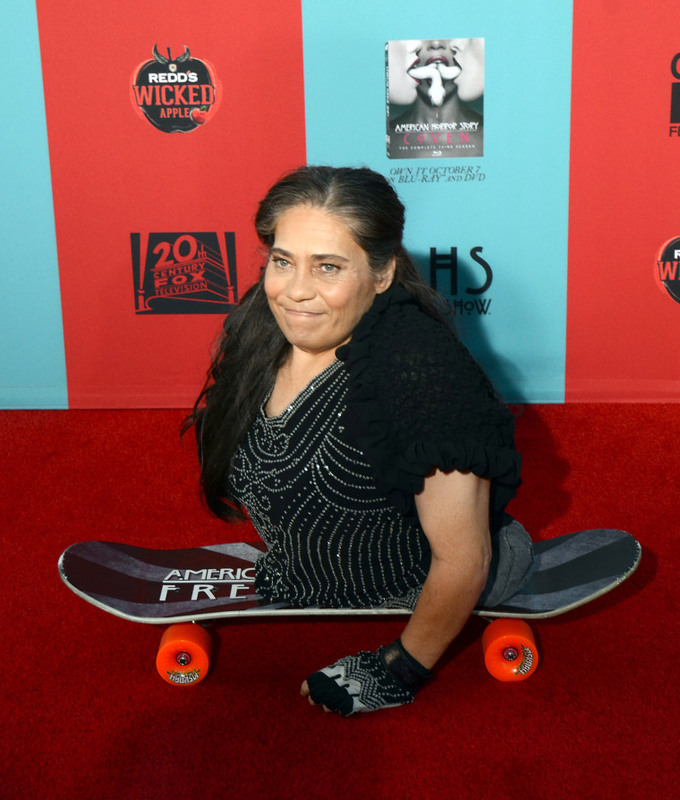 The FX network show announced her death on its Facebook page, saying: "We are saddened to learn of the passing of Rose Siggins. She was beloved by everyone in the AHS family. She was a kind person, a loving mother and a very talented actor. Our thoughts and prayers are with her family and friends at this time." James Mullen, one of her agents, confirmed the death to The Associated Press. More details will be released soon, Mullen said. On her website, Siggins wrote that she was "born with a rare genetic disorder known as sacral agenesis" in which her legs were deformed and the feet pointing in opposite directions. The condition causes abnormal fetal development of the lower spine. Siggins wrote that she went on to have a normal childhood, get married and have two children: a son, Luke, and a daughter, Shelby Cecilia. Mullen and his business partner at InPerson Productions have set up a Gofundme page to cover "final expenses and the continuing support of her children."